At Tuesday's Board of Supervisors meeting, the Board approved their 2018 Board Objectives. These objectives were discussed, edited, and set at their annual Board Workshop which took place in late January 2018. Each year the Board sets A, B, and C priorities. A Priorities are the highest priorities, and C Priorities are a low priority. Maintain County's financial stability and core services in light of economic conditions. Prioritize the implementation of existing County policies and programs to reduce the risk of wildfire and the effects of wildfire on life, property and the environment. Pursue hazard vegetation mitigation funding sources and support related community partners with their efforts. Explore other ways to reduce the threat and damage from wildfires. Implement the Homeless Services Plan utilizing Coordinated Entry, a 24/7 service pilot program and a housing first model to identify and offer services to the most vulnerable homeless population in Nevada County through partnerships with other jurisdictions, law enforcement and community providers. Continue to develop long term County cannabis regulations and explore a cannabis revenue measure for the November ballot. Leverage County resources to expand opportunities to address housing affordability issues for all target populations in Nevada County through partnerships with other jurisdictions, potential developers and the housing authority. Work with ERC, SBC, RCRC, CSAC and Nevada County legislative advocates to identify and seek state and federal funding to support board policy objectives including economic development. Increase and improve public awareness and civic engagement through educational information programs. Complete fee study for recreational improvements to serve new development and encourage all entities to consider collaboration/consolidation into one western county regional park and recreation operation. Evaluate the options and feasibility of establishing a business license process in the County. Explore economic development opportunities for the current corporation yard when vacated which may include airport expansion, commercial development and/or other best use opportunities. View the Resolution outlining the Board's adopted 2018 Board Objectives and Legislative Priorities for Nevada County on the Board of Supervisors web pages. At Tuesday's Board of Supervisors meeting, the Board received a presentation with a quick update on Nevada County's cannabis process so far and an outline of decision point topics regarding the County's new cannabis ordinance. The Board was able to discuss all nine decision point topics and give staff direction on personal cultivation, zoning, setbacks, medical and adult-use, commercial cultivation, commercial cannabis supply chain, non-remuneration, residence requirements, and transition periods for Nevada County's new cannabis ordinance. The Board and County staff realize the importance of having an ordinance in place for the start of the cannabis grow season. County Counsel is making the revised ordinance a priority and plans to have a draft based on the Board's direction in approximately six weeks. When this draft is completed it will come back to the Board at a Board meeting for consideration and discussion. The public has played a large role in the County's cannabis process over the past year by contributing feedback to both the Board of Supervisors and the Cannabis Regulation Community Advisory Group (CAG), and by participating as members of the CAG. At Tuesday's meeting, the public comment period was minimized by dozens of comments received via email prior to the meeting, which allowed the Board enough time to discuss all of the cannabis decision point topics presented and give staff direction. 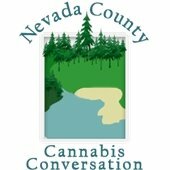 Nevada County's Cannabis Conversation will continue with anticipated items coming to the Board of Supervisors in March. An additional, special meeting is planned for March 6th for public comment on the Board direction given in Tuesday's meeting. For more information, visit the County's Cannabis Conversation website. Work on the Penn Valley Pipeline Project is nearing completion! The project involved the construction of two new, four-plus mile force mains and a new lift station to serve the Penn Valley area. After weathering the atmospheric rain events in 2017 and hitting hard rock in multiple locations, the end of the project is in sight. The jack and bore underneath Highway 20 was recently completed after increasing the size of the bore in order to encompass large boulders for removal, microblasting, and a person entering the 36" diameter sleeve under the highway with a jack hammer, all while meeting Caltrans and OSHA safety requirements! Currently, the new lift station in Penn Valley is undergoing testing prior to the entire system going live, which is expected to occur by the end of the month. The work will be completed within the approved budget, including the significant change order approved in mid-2017 due to unforeseen rock. Nevada County Public Works appreciates the community's patience throughout the construction of this project. After the completion of the Penn Valley Pipeline project, residents can anticipate pavement restoration projects on both Penn Valley Drive and Pleasant Valley Road. If you have any questions about the Penn Valley Pipeline project, please contact Sanitation District Staff at (530) 265-1411. A Fire-Adapted Strategies Workshop co-sponsored by the University of California Cooperative Extension, Resource Conservation District, Fire Safe Council of Nevada County, and the Natural Resource Conservation Service is coming up on Tuesday, February 20th, at the Rood Center from 6 p.m. to 9 p.m. As Nevada County recovers from 2017's wildfires, this workshop will help residents prepare for and recover from fire in a way that is resilient to future fires. The workshop includes an hour and a half panel discussion, starting at 6:30 p.m., to help set a vision of what fire resiliency looks like for families, neighborhoods, and forests. Representatives from the Insurance Institute for Business & Home Safety and UC Emeritus, a contractor from Quality & Quality Construction who is experienced with fire code and retrofits, a Registered Professional Forester, and the Fire Safe Council of Nevada County will talk about their areas of expertise with fire resiliency followed by questions and answers. There will be nine booths at the event that can help connect people to technical and financial resources. Booths include the Nevada County Office of Emergency Services assisting with CodeRed sign-ups, the Fire Safe Council of Nevada County, Natural Resources Conservation Services and CalFire with information on land management cost-share programs, USDA Rural Development with information on low interest home loans, United Policyholders providing insurance recommendations and tips on navigating recovery, contractors from Quality & Quantity Construction, and University of California Cooperative Extension. For more information about the workshop, please contact Kate Wilkin at kwilkin@ucanr.edu or (530) 822-7515. Historically, many housing assistance programs have implemented various eligibility requirements including sobriety, treatment, or participation in program services. These requirements are put in place for many different reasons, including safety concerns and funding limitations. However, the Department of Housing and Urban Development (HUD) and the State of California, Housing and Community Development (HCD) have recently placed a larger focus on the "Housing First" model. The "Housing First" model is an evidence-based approach to quickly connect individuals and families experiencing homelessness to permanent supportive housing without preconditions or barriers to entry. Studies have shown that connecting individuals with permanent supportive housing results in long-term housing stability, improved physical and behavioral health outcomes, and reduced use of services like emergency departments, hospitals, and jails. Permanent supportive housing is housing without a time-limited stay complemented by supportive services to maximize housing stability and tenure. As part of the plan to address homelessness presented earlier this year, Nevada County Health and Human Services Agency intends to expand the "Housing First" housing options available in Nevada County. The agency will partner with the Nevada County Housing Development Corporation, who has previous experience in implementing and operating permanent supportive housing units in Nevada and Placer counties. Additionally, the agency is organizing a multi-disciplinary team to provide wraparound case management services for the most vulnerable individuals experiencing homelessness. For more information on the "Housing First" approach or the Health and Human Services Agency plan to address homelessness, please contact Brendan Phillips at Brendan.Phillips@co.nevada.ca.us or (530) 265-1725. For more details on the County's plan to address homelessness, visit the County's Better Together web pages. Have you ever been curious about what it would be like to explore Greece or Turkey? Join the Nevada County Library for a night of adventure as local traveler Gary Emanuel takes us on a cultural journey through both of these beautiful countries! From the stunning architecture of Istanbul to the rugged Greek Islands, Gary will provide insights from his travels and tips for anyone considering visiting these beautiful countries. The event will include photos of ancient historical sights and the Mediterranean landscapes explored along the way. Apple tea, famous for being served in carpet shops in Istanbul, will be served to all attendees. This not to miss talk will take place at 5 p.m. on February 26th in the Gene Albaugh Community Room at the Madelyn Helling Library. Registration is available online on the Library's website. For more information or If you have a great travel experience that you would like to share with the group, please contact Jill Davidson at (530) 265-7050 or jillene.davidson@co.nevada.ca.us. All County offices will be closed on Monday, February 19th, for the President's Day holiday. Normal business hours for other offices will resume on Tuesday, February 20th.